Day 8: Bye Winnipeg! Hello, being alone(again)! Today, we only went to Superstore to buy my OMG. 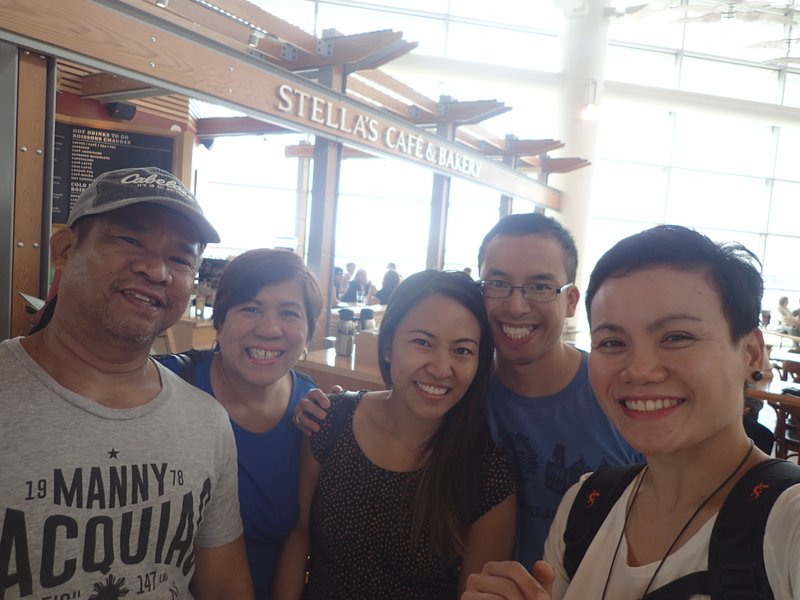 Then Ate Shey and her family sent me off for my flight. Had to bid everyone goodbye, including Justin..=( Super sad. Anyway, life must go on…Was back to the normalcy of me, being alone. So, in Vancouver, I took the train out of the airport to go to an outlet mall called McArthurGlen Designer Outlet in Templeton. The mountaineering store was extremely cheap. If I’ve had more space in my bag, I would have shopped more. Anyway, the mall closed at 9pm so I still had plenty of time to emote while waiting for my flight. So sad. I will miss everybody. This entry was posted in Uncategorized and tagged adventures, alone but not lonely, blah, travel. Bookmark the permalink.